Please join me in welcoming Diane Burton! 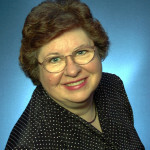 Diane is the author of sci-fi romance and mysteries, her latest being NUMBERS NEVER LIE, a romantic suspense, which released Monday, July 9th. Be sure to enter the celebratory Rafflecopter giveaway below! First, let me say thank you for having me here today, Alyssa. Your intro was so sweet. I’ve loved our chats during lunch, especially when we compare notes on your son and my grandson, who are close in age. I don’t usually read historical romances, but I love your books. Once started, I can’t put them down. My favorite aspect of writing is the inspiration. An idea will pop in my head—usually, right before going to sleep—and I can’t wait to get to the computer to write. I know Mamas are not supposed to have favorites, but what is your favorite Book Baby, and why? I always say it’s the book I’m writing at the moment. Truthfully—and don’t tell the other books—my favorite is my first published book, Switched, a science fiction romance. I wrote it for fun because I’d given up on writing for publication. That feeling disappeared when the publisher of a small niche press, ImaJinn, offered me a contract. I’m living there already. When Hubs job took us from Kalamazoo to Chicago, I made him promise we’d retire along the west coast of Michigan. Then our daughter and her family (our only grandchildren at the time) moved to West Michigan, close to Lake Michigan, I was thrilled. We built a house there, then last summer our son and his family moved here from Arizona. For the first time in twenty years, my family was altogether. What more could I ask? Tell our readers one thing about yourself they probably don’t know. I went to Hawaii all by myself. I was single, and a friend was supposed to go with me. When she bailed, I toured by myself. I even drove the Hana Road on Maui—that is scarier now than at the time. Still, that narrow road along the coast was pretty scary. I saw the sun rise at Haleakala. On my bucket list is a trip back there with Hubs along. 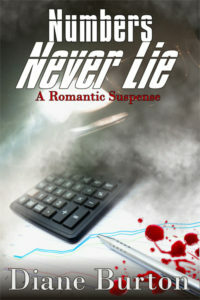 I started Numbers Never Lie (final and best title, though I went through many) about fifteen years ago. Life intruded (as it can), and I put it aside. Issues with our mothers drained me of all creativity. This winter, I picked it up again and remembered how much I loved the story of Maggie, her brother Jack, and their friend Drew. What started as a fun camping trip—for Maggie, her group of 14-year-old girls, and Drew—ended with a devastating phone call. And since I have you trapped, let’s do a little lightning round of fun questions. Ready? Set? Go! Sushi or steak? Steak, although my grandkids took me out for sushi. Not bad. Cats or dogs? (Or hamsters?) Definitely dogs. We’ve had three. Beer, wine or water? Water. An occasional sip of wine. Coke or Pepsi? (If you answer Pepsi I hereby disown you. Ask my father.) Diet Coke! No disowning. And last but not least…Favorite character trait in your significant other? (Mr. Alexander says my most endearing quality is my ability to talk. He also says it’s my most irritating quality). Patience. We’ve been married for 46 years (at Thanksgiving). To stay with me that long took/takes a lot of patience. He’s also the biggest supporter of my writing. 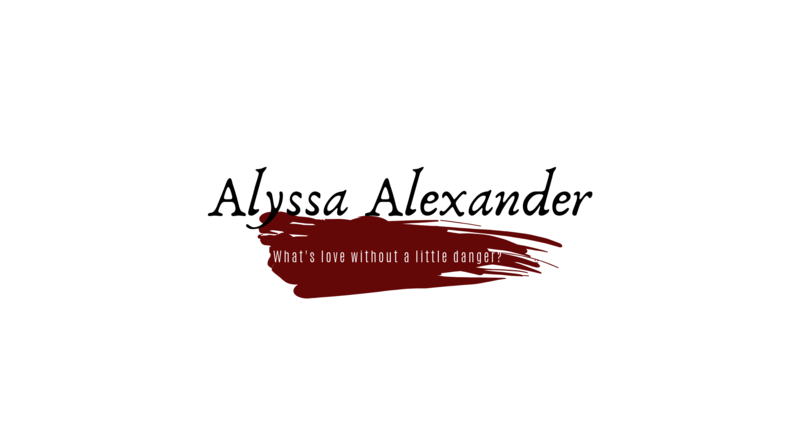 Many thanks, Alyssa, for helping me share my newest release. The Drill Sergeant was back. Hup, two, three, four. Groans from the girls met her announcement. Drew knew exactly how they felt. His legs ached, a blister—no, make that two blisters—had already formed on both sides of his heels. Ellen had warned him not to wear brand-new hiking boots. But he always wore the appropriate footwear. He had golf shoes, tennis shoes, ski boots, and now hiking boots. A pair of bloody hiking boots. Damn, he needed to take a leak. He never should have stopped at 7-11 for a Big Gulp of coffee no matter how much caffeine he required to start his engine this morning. Ellen warned him it wasn’t a good idea. He should have listened. Jack would be laughing his head off if he knew Drew was actually hiking and camping. Both Jack and Maggie had inherited their parents’ enthusiasm for camping. Drew shuddered. Not him. After that disastrous Cub Scout campout, Drew vowed never again to venture into the wild. Still, when Ellen begged him, he thought a little hike in the woods would be the perfect opportunity for some father-daughter bonding. This trip was not turning out the way he anticipated. Ellen surrounded herself with her friends, staying as far away from Drew as possible. With the exception of their brief conversation a few minutes ago—and only after he’d pulled her aside to ask about the facilities—she barely talked to him. So much for father-daughter bonding. All he had to show for his efforts was a stitch in his side, a charley horse in his left leg, those bloody blisters, and chafing from his new jeans. His deceased wife thought jeans were low-class. Since they weren’t allowed on the country club golf course, they hadn’t been part of his extensive wardrobe until his quick trip to Meijer’s at six this morning. The mega-store had everything he needed. When Drew returned from his visit behind a large tree, he saw a couple of girls coming out of the woods on the other side of the path. They joined the waiting group, while Drew waited in the background. After Maggie glanced at him, he knew he was in for it, retaliation for him missing the meeting. She’d bided her time. Here it came. Another lecture. The girls giggled and lined up. Drew straightened his shoulders despite the backpack cutting into them. He was certain Ellen had loaded the pack with rocks. Leading wasn’t that bad. All right. He could do this. He was a man, not a wus. He could tough it out. He would not embarrass his daughter. He’d make her proud of him. Just put one foot in front of the other . . . and try not to wince. Be sure to enter the release week giveaway! ⟵And That’s The Way The Hair Falls Out…Er, The Cookie Crumbles. Alyssa, thanks so much for having me here today. You are such a great supporter. Hi Diane, so wonderful to “meet” you!! You are a new to me author so I’m looking forward to discovering your books:) Truly enjoyed reading your answers to the interview questions and we have the same favourite word…”nana”!! lol Loved the excerpt from your book “Numbers Never Lie”, it sounds sooo very interesting!! Nana! I absolutely love that! Thanks so much for stopping by, Carole! Thanks, Carole. I’m so glad to meet you, also. I’ve always wanted to go to the Maritimes Ever since I read Anne of Green Gables, I’ve wanted to go to PEI. We’ll get there one of these day. Glad you liked the excerpt. Coke? A woman after my own heart!! So glad you stopped by, Denise!